If this seems like a rehashing of last year’s holiday gift guide… that’s because it is. I’ve updated my recommendations to reflect new (higher) prices at retail since last year, and to add a few whiskies that I’ve “discovered” in the last twelve months. Whatever you’re buying, remember that if your intended recipient is already a whisky lover, you can’t go far wrong with any bottle. Only the most jaded whisky snob will look down at a free bottle of hooch. Don’t worry about duplicates either – a whisky drinker will appreciate a backup bottle of something he or she already likes. 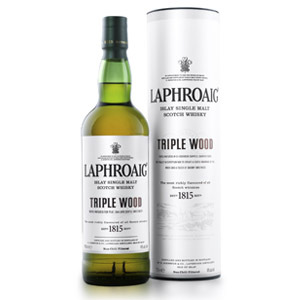 The only thing to watch out for is peat: unless you know that your giftee appreciates peated or smoky whiskies (or you’re hoping to expand his or her horizons), I’d steer clear of Islay and peated Islanders. Here are my top ten Whisky Gift Ideas for the 2012 Holiday Season. I organized them slightly differently this year – by approximate price range in increments of $10. 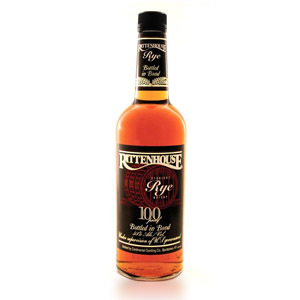 ($24) Rittenhouse Rye 100 Proof, still one of the best deals in American whiskey. A tasty, satisfying dram. The smoky and peppery tobacco notes balance very well with the sweeter chai and brown sugar notes. It does not have the overbearing sweetness of some bourbons, nor the acrid dryness of some ryes. Not ground-breaking, but very much worth the price of a bottle. This is the kind of “ah hah!” flavor that brings life to the “American whiskey is a good value” adage. Also, rye is enjoying a reawakening in the USA and is very trendy right now. ($40) Balvenie DoubleWood 12 year my first choice for a new drinker. 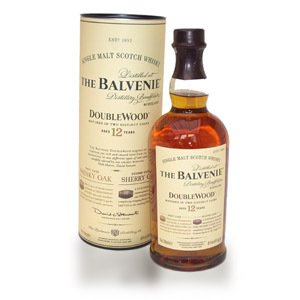 Although it’s climbed in price from last year’s $36, the 12 year-old DoubleWood from Balvenie has become the first scotch I recommend to new drinkers and people interested in moving from blends to single-malts and want a place to start. It has a little of everything (except peat), and is very much worth the $40 price tag. 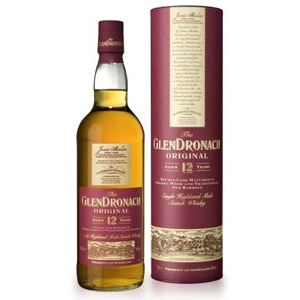 ($50) GlenDronach 12 year my favorite sherry bomb. In 2010, the permanent sherried-malt spot in my cabinet was reserved for The Macallan 12-year. Since then, I’ve had the pleasure of sampling several GlenDronachs and I have to declare that GlenDronach blows The Macallan out of the water at its own game: heavily sherried single malt. 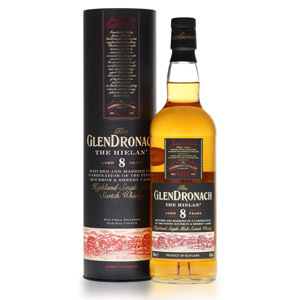 While The Macallan 18 (although clichéd) is still one of my favorite splurges, GlenDronach’s 12 year is a fantastic whisky with meaty, condensed fruit and big, robust flavor. If you know someone who likes “old style” sweet, fruity whisky, this one is spot-on. 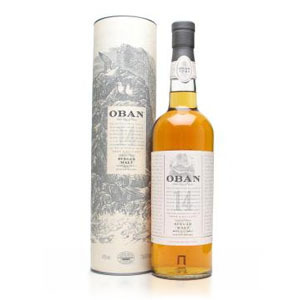 ($60) Oban 14 year, elegant and refined. A satisfying dessert dram. Honeyed and full-bodied, it reminds me a lot of white port, but with more bite. It’s hard to imagine anyone not loving Oban 14. 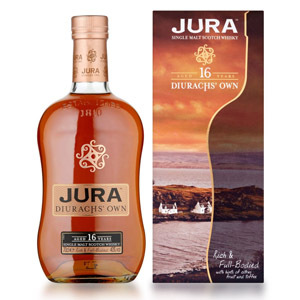 I think this is one of the most instantly impressive single malts under $100, even to those not familiar with scotch. 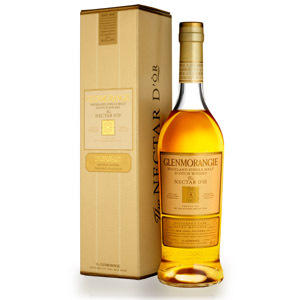 ($66) Glenmorangie Nectar d’Or 12 year, golden raisins and honey. Take a single malt already known for gentle honey flavors and age it for 2 years in French Sauternes casks, and you get what can only be described as a ‘honey bomb’ – with sticky-sweet honeycomb, floral heather, and unctuous golden raisins. One of my favorite malts of all time. ($80) Glenlivet 18 year, light and airy for its age. It’s very hard to find a competent single-malt at such advanced age for under $100. Macallan routinely sells its 18 year-old product for $160, for example. 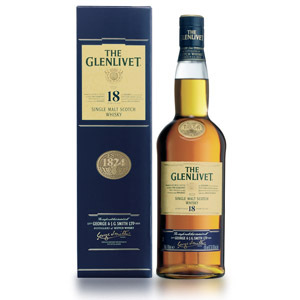 That makes Glenlivet 18 a downright bargain at $80. Rival Glenfiddich’s 18 year is a little less elegant, but also costs less. In either case, age doesn’t usually come this cheap. 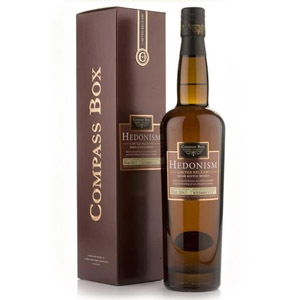 ($94) Compass Box Hedonism, unusual and masterful. If you’re spending this much money on a single bottle, you probably want something unusual. John Glaser’s Hedonism is a blend of all carefully chosen single-grain whiskies, with not a drop of malt. This is a prime example of what can be done with skillful blending and excellent grain whiskies. The nose is light and sweet, the flavor is packed with bakery sweets and spices, and the finish is crisp, elegant, and flawless. 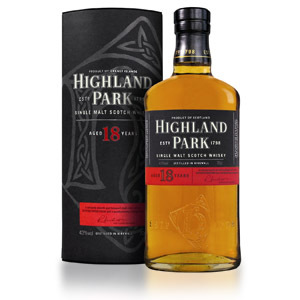 ($99) Highland Park 18 year, surprisingly crisp and tangy. Highland Park is peated – but not in the strong smoky style of Islay. Orkney’s peat (used judiciously) lends a citrusy, tangy quality to whisky. This is one of the bottles on my short list of “splurge” whiskies. If I had the money, I’d drink it all the time. ($43) Redbreast 12-year, bringing Irish back. 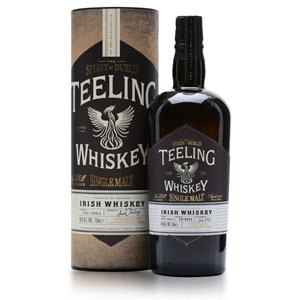 Even though most Irish whiskey is blended, a few Irish distillers are beginning to go back to their pre-1920s roots and the way they used to make whiskey, releasing Single Pot Still (an old, but not widely-known tradition) whiskeys that can be compared, favorably, with single-malt scotch. Redbreast 12-year is an Irish single pot still whiskey with a unique oily/heavy body and delicious grain notes. My favorite Irish whiskey, hands down. ($125) The Dalmore Cigar Malt Reserve and a great cigar. 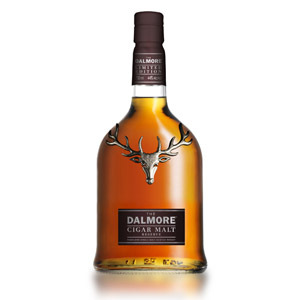 For a true high-roller gift, consider combining a blend of venerable old malts from The Dalmore with a great cigar. The Cigar Malt Reserve was specially crafted by master blender Richard Paterson to pair well with cigars. It tastes like old money, and stands up perfectly to an Arturo Fuente Hemingway Short Story ($6). Or two. Or, for a really unusual booze gift, choose a Clear Creek Distillery Douglas Fir Eau de Vie ($46, 375ml). I can vouch for the stuff – it’s smooth and crisp and tastes exactly like a freshly-hewn Christmas tree! As far as coffee table books with excellent photography and actually useful information go The World Atlas of Whisky by Dave Broom can’t be beat. Another great idea is a set of Glencairn Whisky Glasses. If you’re gifting bourbon, I like to gift a bottle with a pair of simple, inexpensive rocks (double or old fashioned) glasses since that’s how I drink rye and bourbon. I’m sure I left out some excellent gift ideas from this list, but remember that a gift of almost any Single Malt will be very appreciated. Another tip if you can’t decide: Take your gift recipient to a well-stocked bar and hold a small tasting (or host one at your home from your own collection), and talk about the Scotches. Your friend is sure to have a favorite, and now you know the perfect gift! Happy Holidays from The Scotch Noob! 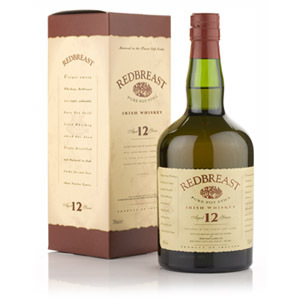 The Redbreast 12-year cask strength is an amazing whisky and only a $12 increase in price…something else to consider! Oban 14 year old costs a horrifying $119 here in Nova Scotia, Canada. Ouch! Unfortunately for my readers, all prices listed on this blog are estimates based on local prices in Northern California. Some people in the Southern US get cheaper bourbon, the Brits and Dutch get cheaper scotch, and everyone with a liquor price control board gets screwed! My condolences. I would also suggest keeping an eye out for holiday gift sets. Earlier tonight, I picked up a gift set of Arran 10 year old, packaged with a pair of small nosing glasses, etched with the Arran logo. The glasses were about the same shape and size as a Glencairn glass, without the base. Gift sets typically cost the same as just the bottle, and you can get some pretty nice whisky related swag for free. Last year I got larger but similarly styled glasses with a Glenlivet 12 gift set, and an etched Glencairn glass and leather tasting notebook with a Glenfiddich 12 gift set. These two might not appeal to a serious whisky fan, but they might make great gifts for any friends or family you want to introduce to the world of Single Malts!